The New Class of World Class. 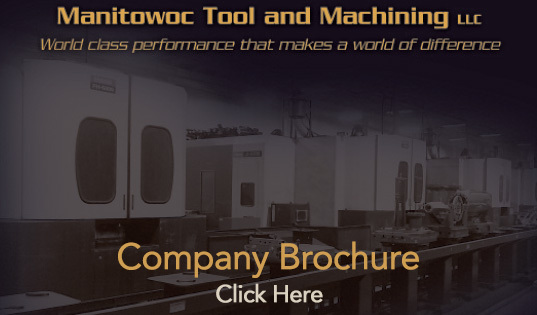 Manitowoc Tool & Machining is an industry leading, precision, contract manufacturer recognized worldwide for over five decades for superior production machining and unmatched capabilities. Employing the most diverse CNC technologies available, MTM’s capabilities range from the smallest of parts to those weighing more than 10 tons. MTM is ISO 9001 and Lean Six Sigma certified and is dedicated to meeting and exceeding customers’ expectations. From concept to completion, you can count on team MTM to deliver all of your turnkey operation requirements. 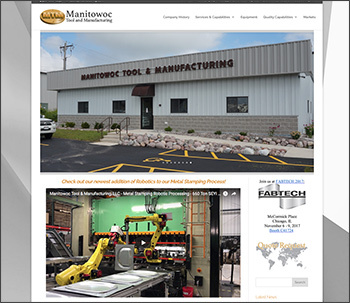 At Manitowoc Tool & Machining we’re not just about equipment. The true test of a quality leader is in what you do with that equipment. At MTM, we employ numerous, innovative quality control measures. Every project is monitored via bar code routing to ensure traceability down to the smallest detail. Innovative manufacturing “cells”, computerized quotations and certified inspections provide unmatched efficiencies and flexibility. In the tool & machining industry, lasting relationships are dependent largely upon the skill of our work force. At MTM, we are committed to the ongoing training and development of our team to keep them on the leading edge of technology and performance. 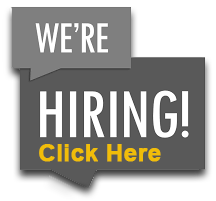 We invest diligently in apprenticeship programs and maintain a in-house company training resource group. These advancement opportunities and programs translate into employee pride, consistently high quality and complete customer satisfaction. You can be assured that your project is guided by highly skilled, “best of the best” designers and craftspeople who closely monitor production down to the smallest detail. Manitowoc Tool & Machining is driven to satisfy! Within our walls you’ll find the source of responsibility for all of your machining needs, from initial design assistance, to the purchase of castings and raw materials, to assembly and painting. We have a large and ever growing temperature controlled facility housing a complete lineup of state-of-the-art machining equipment and warehousing facilities here in Wisconsin. MTM’s capabilities are truly full-service and integrated. In addition to our expertise in production machining and special machining, we offer concurrent engineering services and support one-piece prototype machining through full production runs. At MTM, improvement never ends. We are continually growing, adding, updating and innovating to maintain our leadership as a “World Class” tool & machining supplier. We are committed to staying abreast of the latest technologies and equipment and investing in them as needs surface. The philosophy has led to MTM’s growth as one of the most equipped, capable, and technologically advanced machining facilities in America. The combination of MTM’s full lineup of machining technologies with the expertise and dedication to perfection, found in every member of our operation results in a supplies you can trust for your most critical and demanding needs. MTM is your go-to and one-stop resource for all of your machining needs. We invite you to visit us at MTM. If you have an important project that you need to entrust to people you can depend on, we invite you to come and see us, tour our unique facilities, and most of all, meet our people face to face. All of us at MTM look forward to the opportunity of serving you soon.